We have four online shops that make it easier for you to order our products, simply click on the selected items, make payment and the items will be delivered to your door without any fuss. If you prefer you can still contact us by telephone for the personal touch. 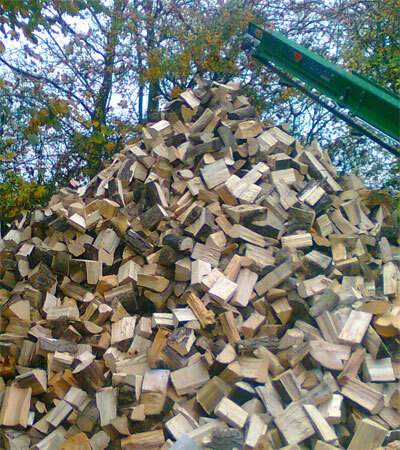 At Woodserve we have an extensive firewood division aimed at producing quality seasoned firewood logs for the wood-burner. The timber is aquired from our various woodland extraction contracts and from arboricultural arisings from tree surgery waste. 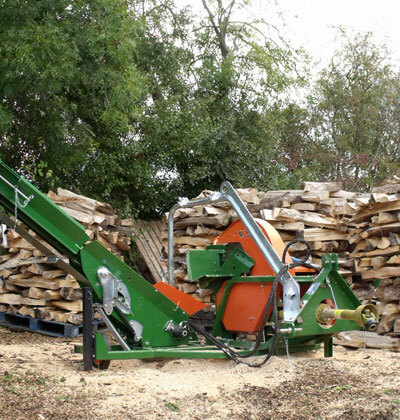 Our seasoned logs are made up predominantly from oak, ash, sycamore, beech, silver birch and hawthorn. Stored in cubic meter vented log bags and delivered loose for convenience of unloading. Hardwood kindling for starting your fires. Sturdy log stores made with treated timber holding sufficient firewood to keep you warm all winter. Delivered and erected at you home. Check out our firewood websites in your area for pricing and ordering details. Store your firewood close to your backdoor if possible in as large a log store as possible. It should be sturdy as it will be holding a lot of weight and should have a sloped felted roof to avoid re-wetting. The odd shower blowing into it does no real harm. There should be gaps in the slats to allow air movement for continous seasoning. Please see our very own log design available from our online shops that has been designed based on years of experience of storing firewood. 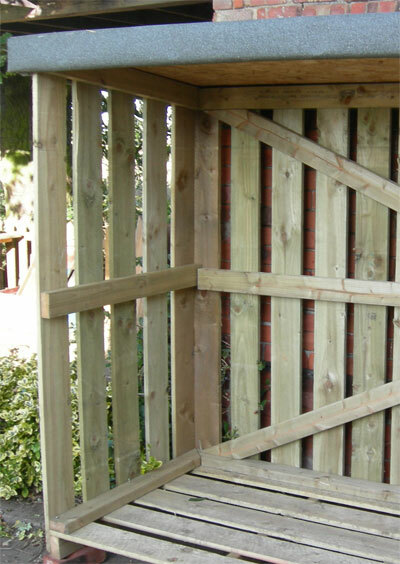 We can supply small, medium or large log stores, all constructed using tanalised timber, 38 x 38 mm framing and corner braces, feather edge roof and 100 x 19 mm boarding. 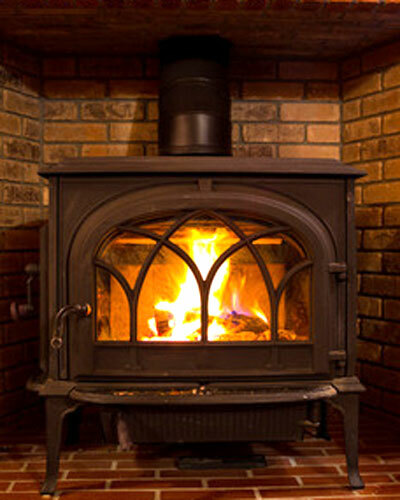 In considering heating with wood, several factors should be kept in mind. Wood as a fuel source has benefits as well as qualities that must be recognized for optimal and safe utilization. Among its advantages, wood is a renewable natural resource, is less costly than fossil fuels, and, if properly air-dried and burned in an efficient, modern wood burning stove, the heat from a cord of native hardwood is nearly equal to that of burning 130 gallons of No. 2 fuel oil. Other positive considerations are that using wood as fuel can contribute to better forestry practices as an economic incentive making for better woodlands. There are also some potential positive personal considerations such as feelings of independence, security and satisfaction. The wood is heated to evaporate and drive off moisture. This heat does not warm the stove or room. The wood starts to break down chemically at 500°F and volatile matter is vapourized. These vapours contain between 50 and 60% of the heat value of the wood. At 1100° F these vapours burn. This high temperature must be maintained for maximum efficiency in combustion. Following the release of volatile gases, the remaining material is charcoal, which burns at temperatures exceeding 1100° F.